Become architect of your org chart. 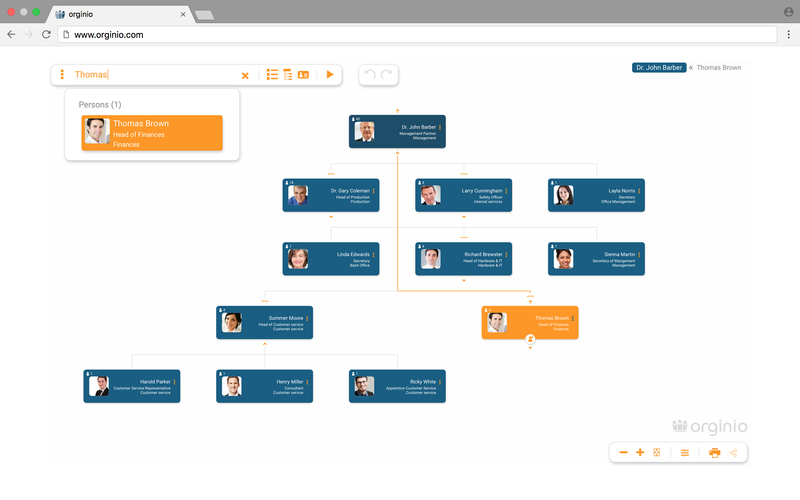 Our web-based org chart tool orginio allows for the visualization of organizational structures in no time. You can either start from scratch to build your company’s hierarchy or upload the data into orginio, e.g. from an existing Excel file. Either way, we offer the basic framework and smart designs. It is also possible to build your organizational chart based on your corporate design and integrate your company logo. You are totally free in designing your org chart’s content with the help of the box designer. 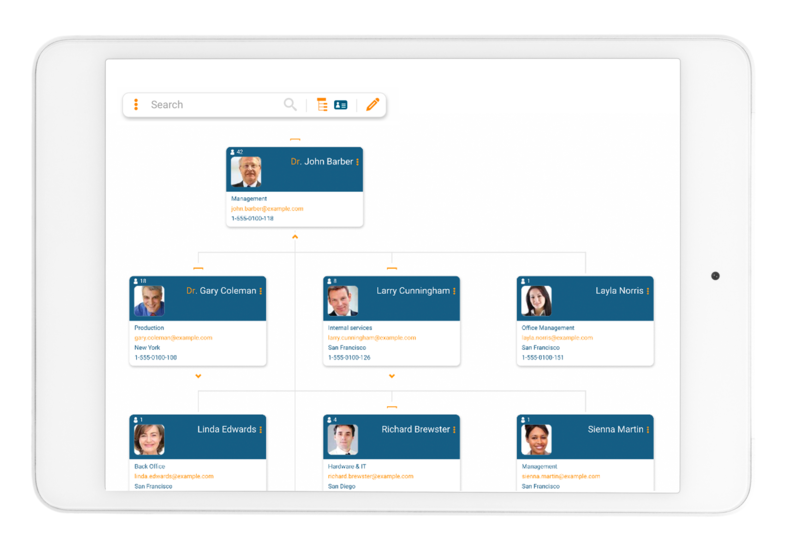 Org charts developed with orginio can be restructured via drag-and-drop or updated with new information anytime. 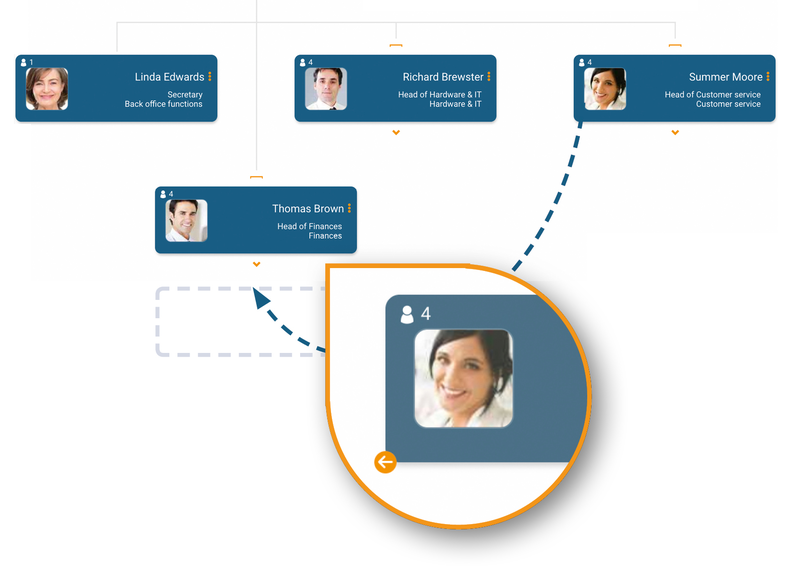 All employees can retrieve the org chart via the Internet using the interactive display. They can also share the organogram or print a PDF of the company hierarchy. Your complete company structure at a glance. The cloud solution orginio gives a clear overview of all the teams’ structures. 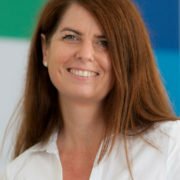 Identify a team’s manager and all the team members, and discover the relationships between employees such as deputyship. In addition, the org chart software provides you with important information about your colleagues, such as phone numbers and email addresses. 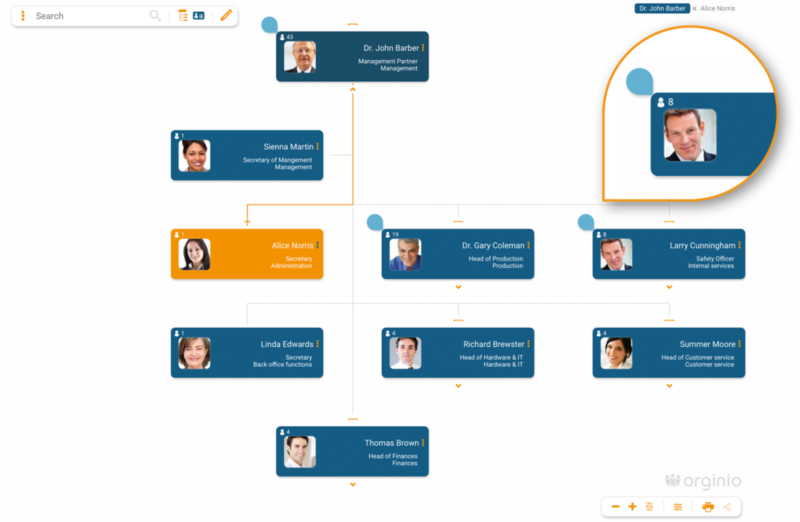 Create transparency with the organizational chart software. 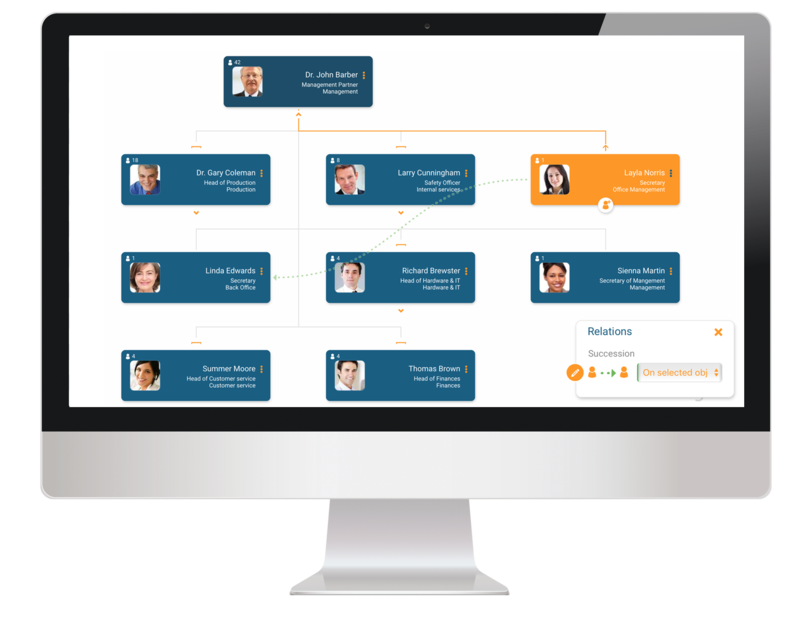 Org charts by orginio quickly display occupied and open positions within your business, allowing for a timely talent acquisition. When managing resources, you are able to assign multiple positions to an employee or place several employees onto one position. Find all necessary employee information in your organization chart. Set off on a voyage of discovery. orginio will quickly deliver helpful and up-to-date search results. You can search for all the information you have imported – your colleague’s contact details, qualification, or even sport discipline and favorite food. Select the appropriate structure for your organization. orginio offers several ways of displaying your company’s hierarchy, be it based on positions, employees or even organizational units. You are the architect of your org chart: Just choose the structure and let‘s go! Keep in mind that up to 50 objects are free of charge. 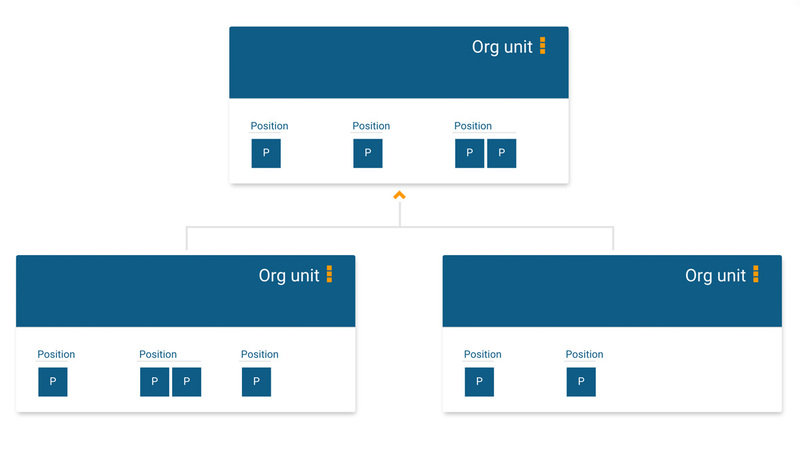 Run structual changes directly within the org chart. orginio enables web-based scenario analysis and modeling without the need to modify the data in your HRM system. 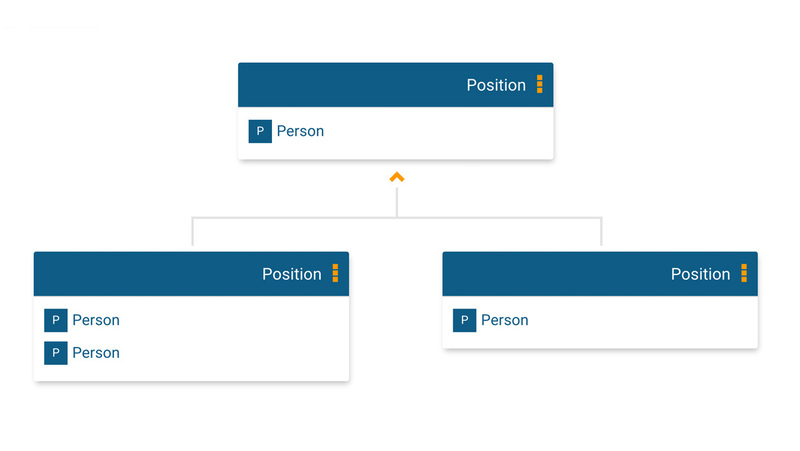 Easily reorganize your structure via drag-and drop: Create, remove or merge departments, manage individual employees or vacancies, or add more specific information. Org modelling simulations can be completed in a simple and user-friendly manner. Turn your org chart into an effective strategic tool. pre-defined colors or they can be blanked out. This makes it a lot easier to quickly recognize the information that is important to you. Define and show additional relations. In orginio additional relations can be defined and subsequently highlighted via dotted line in the org chart. For example, use the additional relations for visualizing potential successors for a key position. Contact data of your colleagues on your mobile device. Retrieve information on all mobile devices: Thanks to orginio’s responsive design feature, it does not matter which tablet or smartphone you use. The presentation of your data is automatically adjusted to the screen size of your device. 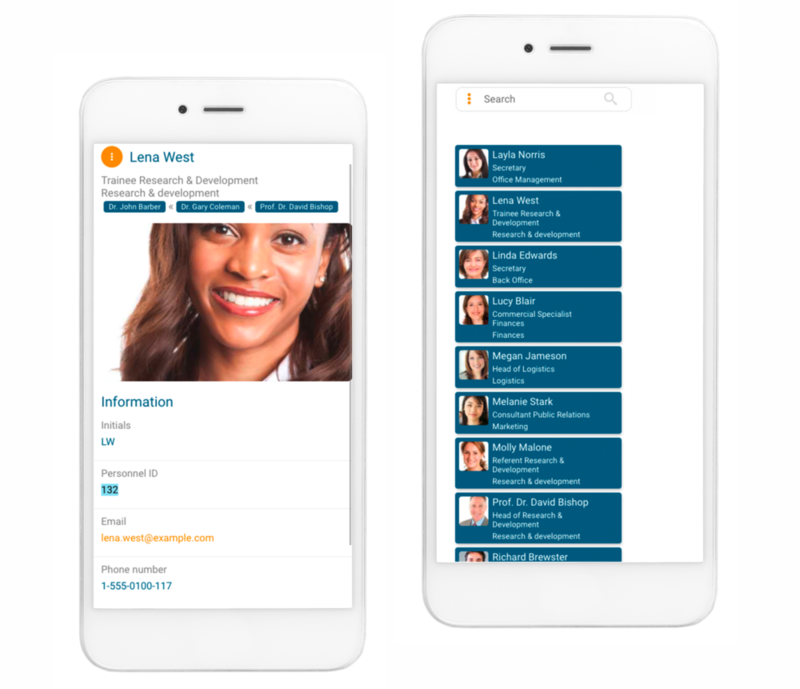 Use orginio as a company directory on your mobile device to have your colleagues’ contact data readily available at all time. All the data you have uploaded to orginio is securely and reliably stored in certified data centers. When you register you can decide if your data is stored in an European or American data center. The US data center at Amazon Web Services (AWS) is ISO 27001 certified. Key compliances controls and objectives are demonstrated by the AWS SOC 2 Security and Availability Report which is an objective and independent third-party report. The AWS data center meets the requirements of the most security-sensitive organizations all over the world. The quality of the German data center (Hetzner Online) has been certified according to the strict ISO 27001 regulations. FOX Certification, a third party certification authority, audited the data center for the certification process. Besides extraordinary safety measures the data center is characterized by an excellent connection to the European Internet, optimizing the speed of data availability. The data center is supplied entirely with green electricity. Create free org charts. Start today! See how orginio can save you time and effort. Experience the ease of use and flexibility. orginio’s innovative user interface enables us to add employees and additional information, for example special functions, in an uncomplicated way. In addition, it is possible to move already existing employees, positions and organizational units via drag&drop. The option to create position templates is another convenient feature. The org chart generated by orginio serves us a practical data resource. For example, it provides contact details such as phone numbers and email addresses as well as information regarding special qualifications. As a result, health and safety representatives or first-aiders can be found easily and at any time. 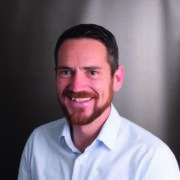 Normann KühnHead of Quality Management, Jugendsozialwerk Nordhausen e. V.
As we are a small and dynamically organized business, orginio’s flexibility and easy handling convinced us immediately. Thanks to orginio, we are not only able to visualize the conventional structure but also legal and functional relationships. In addition, we can display the details of tasks and responsibilities directly in the org chart. We use orginio to visualize the structure of our suppliers. 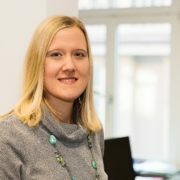 As a result, both the teams in Germany and Greece can access and edit the data from any place. This may sound unconventional but it’s a very efficient and successful way for the purchasing department to maintain a clear overview. With orginio we have found a suitable org chart solution for our subsidiaries. The response from our colleagues has been very positive. A particular highlight is the ease of implementation and adoption. The visualization of headcounts also makes orginio a valuable tool for our controlling department. What fascinated me most about orginio was the uncomplicated integration into our employee portal and the ease of use, even for those lacking IT expertise. Thanks to orginio, it takes the employees at the Universitätsklinikum Erlangen just a few clicks to get to a comprehensive overview of our department structure. Important information about the staff at the Acadamy of Health and Nursing Professionals as well as their employee profile pictures are equally easy to retrieve. At this educational establishment, I am responsible for the creation of the internal department pages as part of the Uniklinik’s wiki. Therefore, I was looking for a solution that allows an easy and structured way to visualize the employees’ contact details and responsibilities. Start the orginio application in the ADP Marketplace. Create your org chart with data from ADP Workforce Now® at the push of a button. orginio is available at the Deltek Produkt Partner Marketplace. Synchronize data from Deltek solutions, for example Costpoint. orginio can be connected to BambooHR. 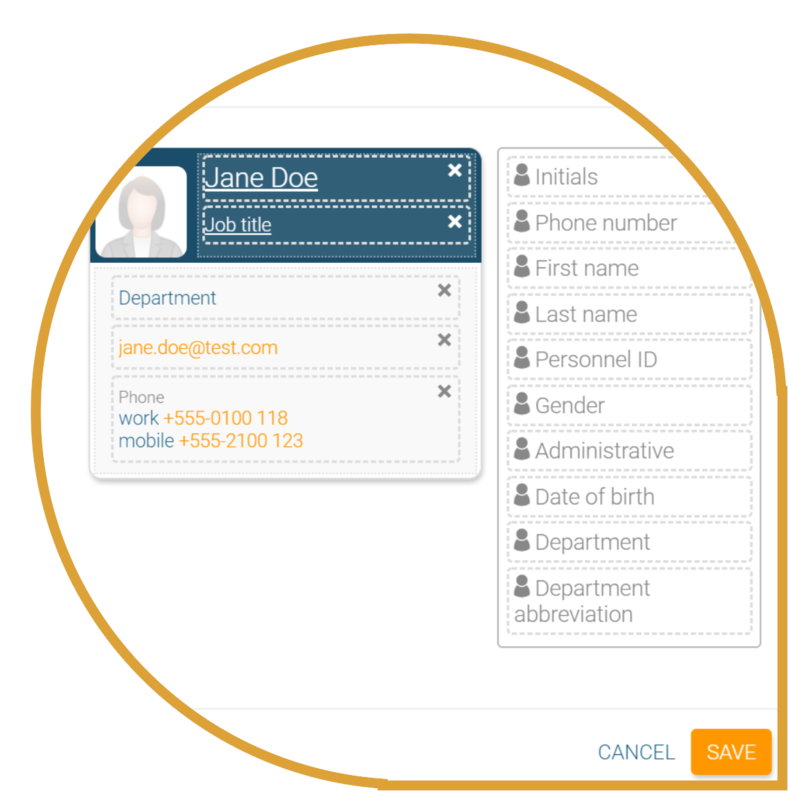 Learn more about the integration in the BambooHR Marketplace. Start now free of charge.